Energy efficiency is crucial for every home and you should always ensure your property is adequately insulated. There are a number of areas to think about including the loft, walls and windows. 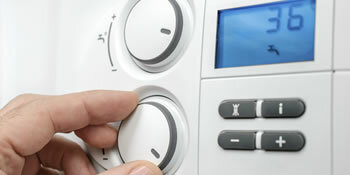 But did you know your boiler is one of the main factors when it comes to poor energy efficiency? The heating of your home accounts for around 60% of your annual energy bill and your boiler could be wasting as much as £310 a year. The cure: invest in a new boiler. To slash your home’s carbon dioxide emissions and improve environmental friendliness. And for some homeowners, the ECO boiler scheme is available to help with the investment. In fact, there are free grants available to help cover the cost as long as you meet certain eligibility criteria. Household bills have doubled since 2004 and are predicted to double again by 2020. So with the ECO boiler scheme you have a chance to make a difference in your home and protect your finances for the next decade. The ECO boiler scheme is a Government-run initiative and helps to tackle the problem of fuel poverty for the UK’s most vulnerable households. A total of £1.3 billion will be issued each year to help with the energy efficiency issues, funded by the big ix energy suppliers. These include Npower, British Gas and EDF. The ECO boiler scheme itself was launched in line with the much larger Green Deal, the Government’s flagship energy efficiency programme. If you want to take part and receive a free ECO boiler grant you need to meet the eligibility criteria, which includes receive income related support, child tax credits or a disability allowance. However, if you fail to meet the criteria then you should still consider a replacement boiler to seriously reduce your annual bills. Extremely prompt response and provided an extremely constructive consultation. Thank you. Very prompt and professional response . NATURAL GAS INSTALLATIONS were eager to demonstrate the competitiveness of their service and provided a thorough and constructive engagement. Didn't pursue quote with this company but they were very responsive and contacted me very quickly. Genuinely nice guy. Good solid advice, very fair. Properties are given an energy ranking depending on how efficient they are and ratings are shown in the information below. This ranges from A, by far the most energy efficient, to G, the least efficient. With a higher rating you're more likely to have less expensive energy bills as more heat will likely be kept in the home. You'll be able to increase your home's efficiency with insulation including upvc double glazing, loft lagging or wall cavity insulation. There are many types of property in the United Kingdom and the info beneath shows the type of houses in Uk. Throughout the country the most popular housing types are typically semi-detached and terraced housing, yet detached homes, flats and bungalows are also available. The pie chart underneath indicates the proportion of homes within Uk which are central heated and non-central heated. Central heating figures within the the greater part of UK houses, such as those on the gas grid and properties heated by oil and electric. The information beneath displays the spread of homes warmed by different fuels. Throughout the UK the most frequent hands down are gas heated homes, followed by electricity and then oil. Biomass central heating boilers are also rising in popularity, heated by environment friendly products such as wood pellets or agricultural waste.|Houses in Britain are warmed by a number of fuels, which include gas, electricity, oil, solid fuel and LPG boilers. Each fuel has a varying cost associated with it so you can find yourself with less expensive energy bills by altering how your property is heated. Even solar thermal panels are being regarded as by many in order to lower heating bills for the years to come.